A video game that depicts an uprising in a Nazi death camp has drawn harsh criticism from the Anti-Defamation League, which told Kotaku that the Holocaust should be off-limits for video games. Earlier this week Sonderkommando Revolt, a video game set amidst a violent prisoner uprising at the Auschwitz death camp, came to light. The Israeli game maker told Kotaku that the game has no agenda for the game which he and a team have been working on since 2007 and is due out next month. Instead, the developer, who believes that in a past life he was imprisoned as a Jew by Nazis, calls the game "blast the Nazis fun." But the advocacy group, founded to "stop the defamation of the Jewish people and to secure justice and fair treatment to all," says the game shouldn't be released, not even if it is meant to be played as violent revenge fantasy. "Perhaps well intentioned in its creation, its execution and imagery are horrific and inappropriate," an Anti-Defamation League spokesperson told Kotaku. "The Holocaust should be off-limits for video games. We hope the developers will reconsider and abandon the game." Sonderkommando Revolt is based on the real-world uprising at Auschwitz in October 1944 and built on the foundation of classic shooter Wolfenstein 3D. 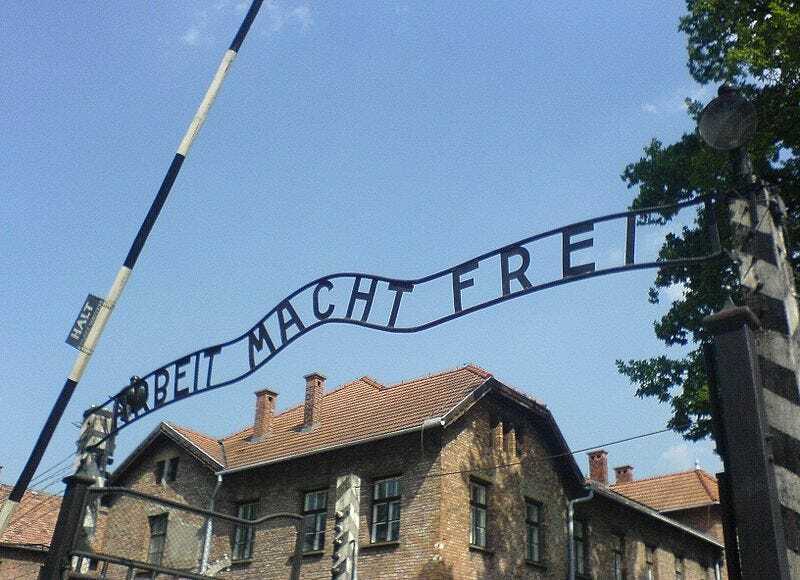 The actual event in Auschwitz resulted in the deaths of just three German Schutzstaffel soldiers and the murder of 451 Sonderkommandos, a "special unit" of primarily Jewish concentration camp workers who aided in the killing process during the Holocaust. In the video game version of the uprising, the tables are clearly turned, with protagonist and actual Auschwitz prisoner Zalmen Gradowski tearing through Nazi soldiers with a wide selection of weapons. The Anti-Defamation League sees the game as neither harmless fun nor cathartic video game violence. "This rudimentary video game is an offensive portrayal of the Holocaust," the spokesperson told Kotaku. "With its unnecessarily gruesome and gratuitous graphics, it is a crude effort to depict Jewish resistance during this painful period which should never be trivialized."